Uh, techno-organic virus that fuses armor plates to the marrow of Stark's bones??!!! Aaaaaaaaaand motor control through brain impulses?! Helloooo. 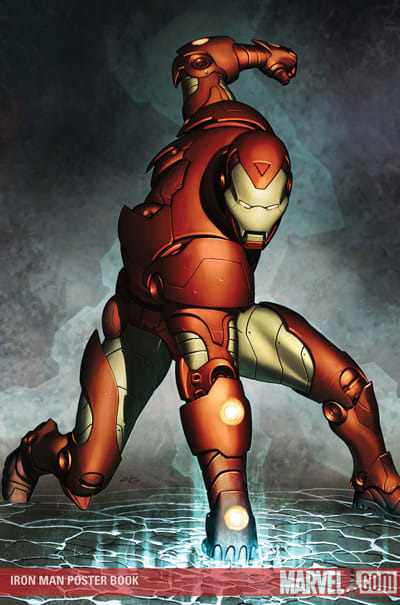 Artist Adi Granov helped revamp Iron Man's image to the sleek and modern design that we're all now familiar with from the movies but WOW not only is this Extremis version phenotypically bananas, genotypically it's GONZO. Man, science rules.